High-risk inmates in an Australian maximum security prison will be prohibited from communicating in Arabic during visits and phone calls, according to an edict from the attorney-general - the latest in Australia’s crackdown on Islamic terrorism. 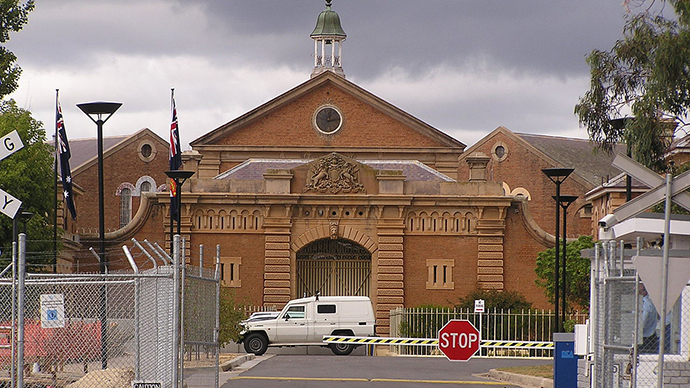 The new regulation at the Goulburn facility in New South Wales will take effect on Sunday, with some 13 inmates having to switch to English, as well as using the language for writing outgoing communications, News Corp Australia reports. Security guards will allegedly stand within earshot of all conversations and record them as well. If the rules aren’t observed, they will be within their right to eject any visitors. The inmates are all classified as ‘Extreme High Risk Restricted’ and are monitored 24/7. The official also said further steps must be taken to curb radicalization inside the facility, such as hiring more moderate imams to work behind bars. The measure will be geared primarily to new converts to Islam and to keeping moderate ones in check. Hazzard voiced his concerns about the imams earlier, saying the hiring must take place“as enrgetically as possible”and must include preachers who display“moderation and decency.”An officer present at a meeting of Corrective Service officers last month said the new services would likewise be in English – not Arabic. Staff in the New South Wales prison have been told in the past that they could decide at their discretion whether a particular inmate is allowed to speak their mother tongue, provided a translator is present and the circumstances demand it e.g. an elderly relative who only speaks Arabic. “We don’t want to create a situation where they feel there’s no sense of humanity, because there will be,” Hazzard also said. Recent months have reportedly seen a rise in inmates asking their diet to be changed from a Western one to halal meals, an indicator that more people are converting to Islam at Australia’s maximum security facilities. Some nine to 10 percent of all inmates in the New South Wales region are Muslim, although Muslims constitute less than three percent of the general population, according to News Corp Australia figures. September was marked by the passing of tough anti-terror laws, which included the senate granting the national intelligence agency the right to spy on any citizen with just a warrant. The measures were taken in three stages, with new more terrorism-oriented introductions in October and later, in February, with the introduction of the Telecommunications Amendment that increased the government’s surveillance powers considerably. On September 12, Australia raised its terror alert to the second highest level in response to recent violent events in the Middle East connected with the beheadings of American journalists James Foley and Steven Sotloff, and British aid worker David Haines. The introduction of the laws was accompanied by intelligence warnings that an imminent attack was to take place. One of the largest police operations in Australian history involved 800 officers in Sydney and Brisbane, performing raids on suspects with purported ties to the so-called Islamic State (IS, formerly ISIS/ISIL) militants. The group earlier threatened to behead Australians at random. The terror is homegrown as well. In late September, Prime Minister Tony Abbott reported the figures, with some 60 Australians fighting alongside IS militants in Syria and Iraq, while about a hundred known sympathizers were walking the streets back home in Australia.